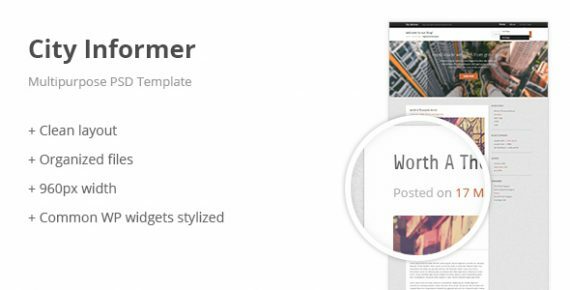 City Informer PSD template has a modern, clean and stylish design for product, business or personal blog or website. 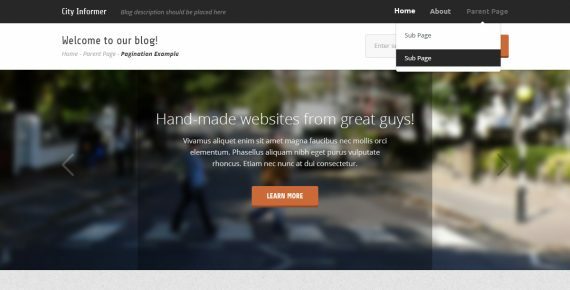 This template can be easily turned into WordPress CMS in few steps. It is a properly layered and allows to find necessary information quickly. Technologies used: 960gs, Adobe Illustrator, Adobe Photoshop, Graphic design.